They were all chosen to move up, but did their career momentum go with them? In the aftermath of WrestleMania 32, we've seen the biggest mass exodus of talent from NXT to the main roster in history. Within a single week, Baron Corbin, Enzo Amore, Colin Cassady, Apollo Crews and The Vaudevillains all made their triumphant first appearances on the big stage. 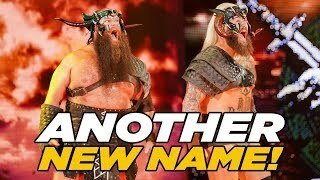 As longtime NXT fans well know, witnessing the arrival of a developmental star to mainstream WWE is a bittersweet experience. It's great to see our favorites sharing a stage with the biggest stars in wrestling, but WWE is a sink-or-swim promotion, and not everyone's going to swim. Whenever there's a call-up, the IWC wrings its collective hands about whether this or that wrestler will survive outside the nurturing womb of the so-called developmental. Such concern is well-founded. Since NXT officially became WWE’s developmental system, no less than 20 men and women have made it to the main roster, and the success rate of these NXT-to-WWE transitions fluctuates wildly. We’ve seen everything from relatively quiet debuts to instant star-making moments to humiliating failures, and I've ranked them all. -This list includes those who didn't spend time on the main roster before going to NXT. Sorry, Tyson Kidd. -I'm only counting someone’s first official move to the main roster, even if they were repackaged and returned later. Sorry, Emma. -In the interest of fairness, I'm trying to limit the scope of my analysis to the first few appearances on the main roster; we’re judging how well someone made the leap initially, not their ultimate success level. Sorry, Big E.